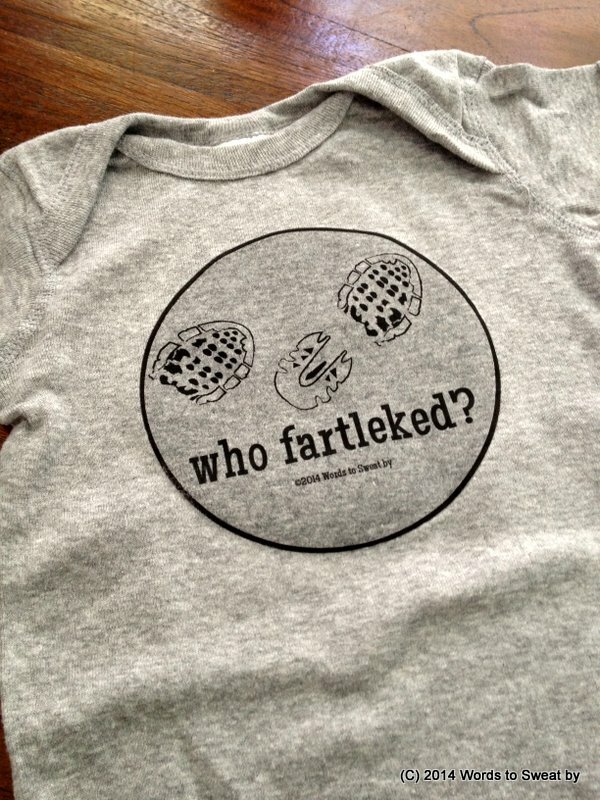 Potty humor gets a laugh at any age and this “WHO FARTLEKED?” bodysuit will be a fun in-joke with your running buddies and a great conversation started with those unfamiliar with your training regime. This “WHO FARTLEKED?” bodysuit is offered on a ‘standard-issue’ fitness gray jersey knit. It is 100% cotton and available in toddler sizes as well. If you would like to request a size that isn’t listed, please feel free to contact us. All Words to Sweat by designs are copyright protected and cannot be reproduced for personal use or for sale.